As a new feature of Femulate, I plan to identify new blogs that will be of interest to femulators. The first blog to be so identified is Kandi's Land, a blog written by a Cleveland girl, who is very out and about and has the blessing of her wife to do so. 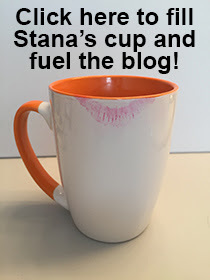 Here is a sample from Kandi's blog. I am a crossdresser! There. I said it. October 2014. Never admitted that to myself, but have always been one. Hated myself for it. It has always been a compulsion, an urge, never something I ever enjoyed. What is wrong with me? It turns out, nothing! Okay, now what do I do? Having purged a small bedroom full of women’s clothes over the course of my 50+ years, let’s start fresh. Let’s see if I can enjoy this. Purchase a few things. Okay, I like that. Add a few more. Keep them for more that an hour, a day, a week. So far, so good. How do I feel? Different, better, happy. I need to make some life changes. If I am going down this road, I need to look half decent. I begin the road that would result in my dropping 35 pounds and eventually becoming a very competitive runner, routinely winning my age groups comfortably in 5Ks, now winning my age group in half marathons and most recently completing my first full marathon. Happiness matters. So now I am getting slimmer, getting in good shape, happy with myself. But the big hurdle remains. I am very happily married with two grown and successful daughters. It took well over a month to gather the courage to tell my wife. December 2, 2014 is the day. If she is not on board, this all stops, no questions asked. And I would completely understand her not being happy with it. I find the words, show her my painted toenails, tell her how it all makes me happy. In a moment I will never forget, she says she just wants me to be happy. You know that feeling when you fall in love with someone? I did that all over again, almost 30 years into our marriage. I was immediately transformed. My life is still filled with ups and downs, but my “default” mood is always one of happiness. My smile, previously buried under a crappy mustache and displayed only when made happy (instead of being happy) by family and friends, became ever present. Now what do I do? What have I done!!!! The work begins. Removing more body hair than your average polar bear. Developing those routines that women do, not men. Moisturizing. Frequent shaving. Now do I really want to do this? I begin purchasing items to be included in my wardrobe. I have no fear of buying women’s clothing as a man. None. A bra fitting? Why not. A new dress? Of course. I schedule a makeover at Janet’s Closet in Detroit. I need to see what I would look like. Not bad. To paraphrase Rudolph (the Red Nosed Reindeer)….I’m cute!!!!! Or at least not hideous. I let the girls there talk me into wearing clothing I would never dream of wearing now and I make a walk through the mall. I survive (although read by some teenage girls). I go out with some seasoned “girls” (I hate the term “gurls”). I survive! Now the real work begins. How do I build a real life for Kandi. She is not simply going to hang out at CD bars and shop, shop, shop (although she does a lot of that). My hope is that this blog can show you how to make your life a happy one if you are a crossdresser. I completely understand I am very different than a transgendered woman. Apples and oranges. My world view is one of extreme optimism. The world is so much better than the media would make you believe. No question, we live in troubled times. But I have now been out probably 300 times. I am frequently complemented, have received more hugs from total strangers than one can count, had drinks and meals purchased for me and am an active member of a church, many charitable organizations and even a woman’s social group. I also understand that I have the blessing of my wife, a HUGE benefit to my being able to achieve that happiness. Come on along for the ride! Yes, I too could be happy like Kandi if I knew that my wife really didn't mind me being trans, but I know deep down she hates the fact that I am not a real man. Thank you for featuring Kandi's wonderful blog. She is an inspiration and she has found a very happy medium between her male and female presentations. I hope that you will add her to your daily blog lost so that whenever she posts a blog I can just link to it from your site. I also hope that her blog is picked up by T-Central since I think that she has a lot to add to those of us who are what you once referred to as 'plain vanilla cross dressers'. I live near Cleveland and have probably walked right past her and never noticed her!